It turns out that whether you’re training a seal, a dog or a softball player the methods are pretty much the same. Discover 5 ways an animal trainer can help you reach your players better, and teach your dog some new tricks. As different as a seal might be from a softball player, turns out that training them is pretty much the same. Read on to discover how. On my recent trip to Alaska I was talking with an animal specialist at the Alaska SeaLife Center in Seward, Alaska – a guy named Neal, who turns out to be from Tampa, Florida. Small world. Anyway, his specialty is seal training and he told me that the principals for training an animal are the same principals as training people. Of course, that made me ask, what do you mean, what principles? While I never actually saw Neal train any seals, his quick 5-step summary of what’s involved made me immediately know that Neal was special. Know What Motivates Them – While some seals are motivated by food (fish) others are motivated by attention from their trainer. Sound familiar?! For Neal to properly train each seal, he must first know what makes them each respond. Imagine the time it must take to understand what motivates a seal…they can’t talk, or stand still or look you in the eye, and yet Neal must first find out how to reach each one, by knowing what motivates them. If a seal is motivated by attention from its trainer then imagine how your attention motivates your players! While you can’t feed your players fish to get them to bunt better, you can realize that each of them won’t respond to the same thing. Some will want your attention, others your encouragement, still others want a challenge. Whatever it is, find out what they each need and then use it to help improve their skills just like Neal does with his seals. Focus on the Good – This one seemed really bizarre coming from an animal trainer. Apparently even seals struggle with their attention spans so instead of punishing the ones whose eyes wander all over the training area, Neal simply waits until the seal looks at him and then he rewards the seal (see #1). By Neal focusing on the behavior he wants from the seal (via a reward when that happens), the seal eventually learns to do that behavior more, and the non-rewarded behavior less. I’ve always been a big proponent of focusing on the good, so to hear this being used with something as difficult as training seals – it really struck home. Know the Species – According to Neal, training Harbor Seals is different than training Bearded Seals just like it would be different to train a seal vs a whale vs a dog. It’s obvious those last 3 are different and it’s because they’re different that they must be trained differently. Again, this seems obvious in the animal kingdom as a whale is clearly different from a seal or a dog. And yet we don’t as easily seem to recognize the difference between training a teenager and 9 year old. Or the difference between a grown male coach and 10 year old female player. In order to successfully train any type of animal or mammal, we first need to know their species – or age-type – so we can target and modify our training specifically to that species or age-type. Instead of thinking that all softball players need the same skills or explanations or time-frame in which to learn, realize that teenagers have far different emotions and needs from 9 year olds. While seals have species types, softball players have different age groups – and each are very, very different. To teach them we must know them! 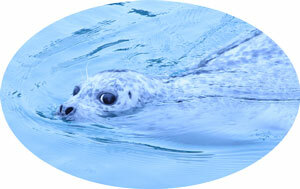 Know the Individual – Once you realize you’re training a Harbor Seal then it’s important to learn how each of your Harbor Seals are different. So, whether it’s seal versus seal or player versus player, each one is very different with a unique character that has different motivations, different skills, different attention spans and different intelligence levels. Your training, or coaching, has to be tailored to each player – or seal – in order to reach them deeply and maximize their development. It Takes Time – Neal’s final step in the training process was to tell me that of course, all of this takes time. It’s never easy or quick to figure out what motivates each of his seals, or to train-away their bad behavior by focusing on their good, or to understand how the harbor seals are different in their responses and reactions to the bearded seals, or to learn as much as possible about each one of his Harbor Seals. It’s a very slow process. There is no shortcut to training seals or any animal for that matter. So, animal trainers while firm, are very patient. We could all do better at this as coaches. Just because you’re training softball players instead of seals doesn’t mean they’ll get it right away. It takes time! Neal tells me his Harbor Seals are very motivated to “get it”, they want to please him, or get extra fish – and yet it takes time! I know that seals don’t have games to play where their skills need to be mastered, or at least improved – but training behavior is the same, whether it’s training people to play softball or training seals to balance balls. Patience, and Specificity and Positivity are the keys to changing behavior – whether you’re training seals at the Alaska SeaLife Center in Seward or training softball players in your own home town. Take a lesson from Neal and take a deep breath, be patient, and learn as much about what makes each of your players tick as you possibly can.